On 28 March 2020, from 2 p.m. until midnight, we will introduce you to the club and its activities. Depending on the weather conditions you can enjoy the view from our observation platform and also participate in various astronomical observations. Depending on clear skies: Observations through our telescopes. 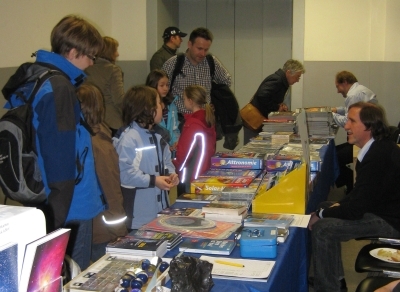 Bazaar with astronomical literature, meteorites, postcards etc. 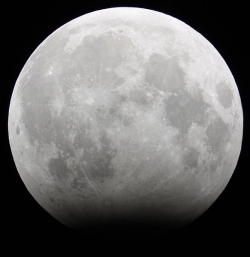 This evening the full moon will appear strange: Some piece at its lower limb will be missing. That partial eclipse starts at 10.01 p.m., peaks at 11.30 and ends at 0.59 a.m.
We are open from 9.00 p.m. on for our regular evening tour. If the sky is clear, our observatory will be open until 1 a.m. that night. Reservation is neither possible nor necessary. This event will take place on Saturday, October 19th, 2019. 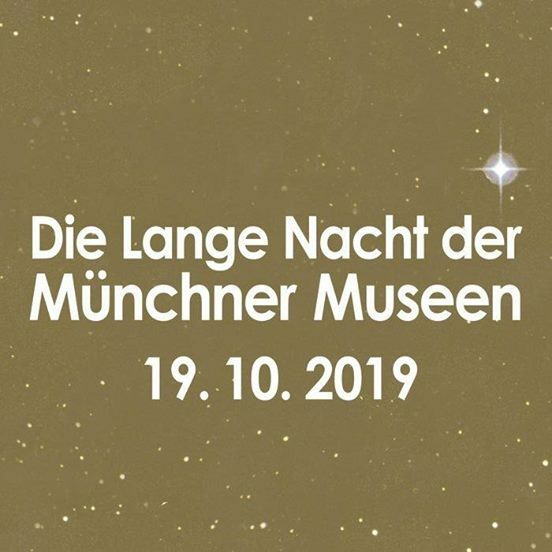 We are open from 19:00 h to 2:00 h.
To take part in the Long Night of Munich's Museums you need special tickets. For terms and conditions, please refer to the organiser. These will be available from middle of September on in the observatory and will give you access to all museums, including the shuttle buses. Price per ticket is 15 Euro. On Monday, 11th November 2019 a rare celestial event will take place: The inner planet mercury transits between the earth and the sun. The next such event will occur again in 13 years. Please do NOT look directly into the sun without proper filters! You risk to get blind, especially if you use binoculars or a telescope. Anyway, the transit is only visible in telescopes which magnify more than c. 100x. Our observatory is open at that day from 12:00 a.m. (CET). 13:35 Uhr: beginning of the transit; in case of bad weather we try to show live images via internet. 19:04 Uhr: end of transit. Interested guests can watch the livestream in our lecture hall until then. 4,- Euro reduced price per person, children under 4 years are admitted free. We recommend getting a ticket in advance: As an online ticket or at our desk (always while our regular tours run). Here you find general information about the mercury transit 2019 (in German). In addition to our regular program the Public Observatory can also be a very special event location for you. Our cosmic ambience among the rooftops of munich will ensure a permanent impression for your childrens birthday party, anniversary, corporate event or other celebration! The astronomical component and special setting in our premises will enrich your event with celestial flair. Contact us, if you plan to rent some of our premises, where you would be able to welcome up to 50 guests.